This is a great book. And I'm a huge Star Wars nerd, which is why I think it's a great book. Hear me out, this one is really well done. First, it is simply well made. Nicely laid out, heavy paper with a satin finish, and a fine attention to detail that warms my OCD heart. Of course, it is also full of Star Wars trivia. Like what is the speed of various ships in MGLT (megalights per hour). Or all the times someone said "I have a bad feeling about this...."
Perhaps the single best graphic in the book is this, a chart of all the books, movies, TV shows, videogames, and comic books that are considered part of Disney's new canon. Everything else got swept into the Legends category by Disney, although some fan favorites have been brought back. 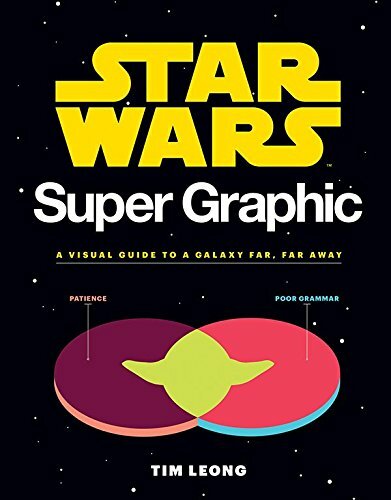 This book is a great buy for any Star Wars fan, or even just a lover of nicely done graphics. I even learned a few things about the characters who have been introduced into the new storyline. Well worth your time and money.